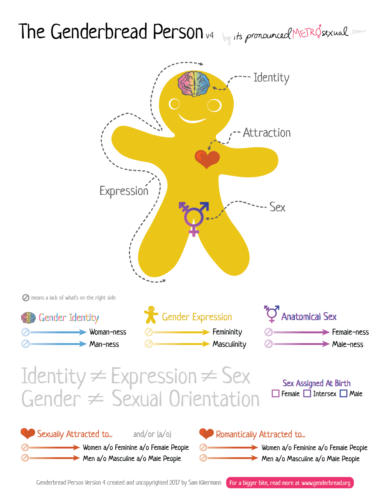 Below are different explanations of the genderbread person model, and its component parts. If you’d like to submit an explainer, or link to one you think we should include, please use this form. 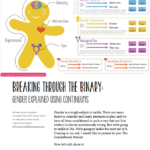 Written by Sam Killermann (originally published here; shared on this site within his uncopyright statement), this is a printable PDF that walks a reader through Genderbread Person v3.3. 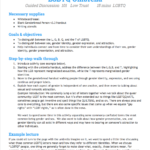 Written by Meg Bolger and Sam Killermann of The Safe Zone Project (originally published here; shared on this site within their uncopyright statement) this is a lesson plan (with facilitator guide and participant handouts) that walks learners through the “queer umbrella” (unpacking the phrase) and the genderbread person (explaining the components of gender). This site is a forever work in progress supported entirely by volunteerism. If you have something to add, we welcome it.